South Korean baseball club Kia Tigers said Monday they're nearing a deal with former major league outfielder Jeremy Hazelbaker. An official with the Korea Baseball Organization (KBO) team said all Hazelbaker has left to do is to sign the paper. If the deal is finalized, the 31-year-old American will replace Roger Bernadina in the Tigers' lineup. KBO teams can sign up to three foreign players, at least one of whom must be a position player. And all clubs have opted to carry two pitchers and one hitter for the past several seasons. Bernadina batted .310 with 20 homers, 70 RBIs and 32 steals in 2018, a year after hitting .320 with 27 homers, 111 RBIs and 32 steals in his first KBO season. The center fielder will turn 35 next year, and the Tigers have decided to go in a different direction. 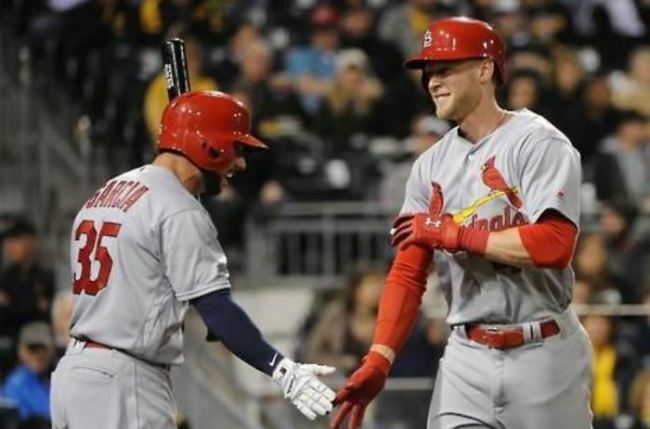 Hazelbaker has 155 big league games under his belt, with a .258/.327/.500 line, 14 home runs and 38 RBIs between the St. Louis Cardinals and the Arizona Diamondbacks. In 2016, Hazelbaker played in 114 games for the Cardinals, and had 12 homers in 200 at-bats. He spent the entire 2018 season in Triple-A for three different organizations, the Diamondbacks, the Tampa Bay Rays and the Minnesota Twins. He played in 98 games combined and batted .204 with 11 home runs and 36 RBIs. In 915 career minor league games, Hazelbaker has hit .260 with 99 homers and 431 RBIs.